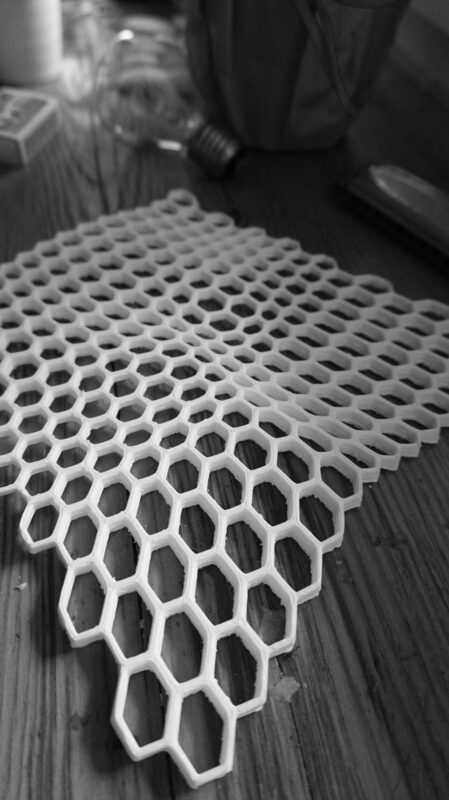 Easily create a parametric honeycomb pattern with Blender and Sverchok for 3D printing and CNC milling. 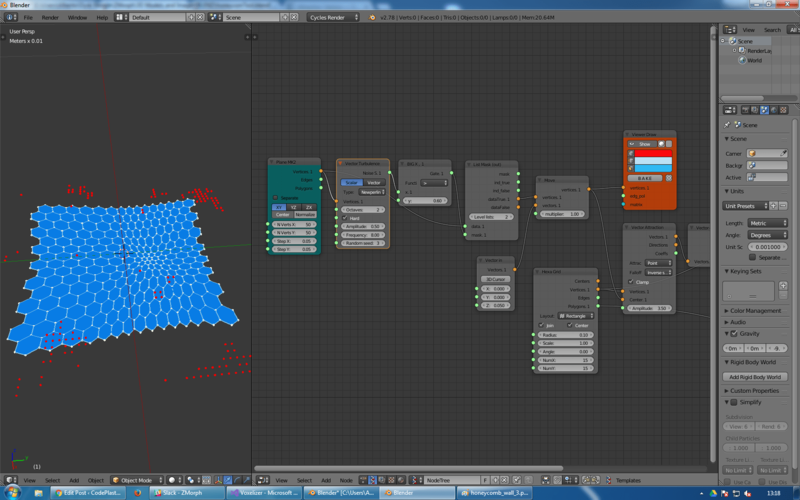 Today we will see how we can create an interesting honeycomb pattern with Sverchok. 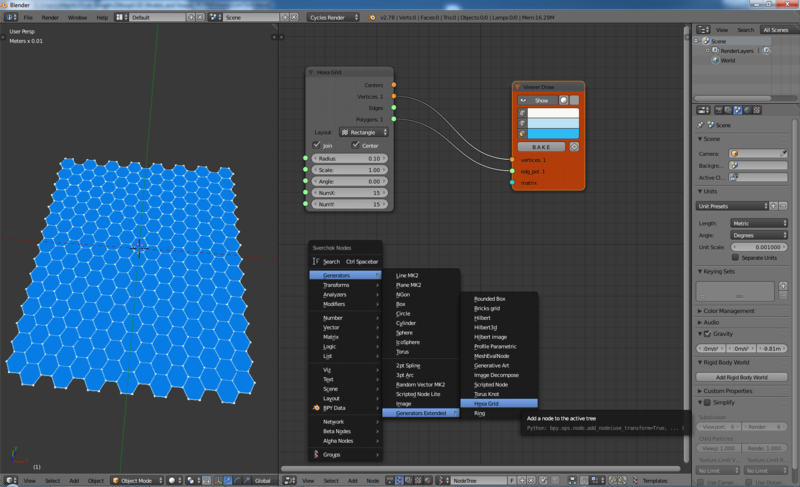 We have already talked about Sverchok in our tutorial about parametric tiles, today we will continue its exploration. 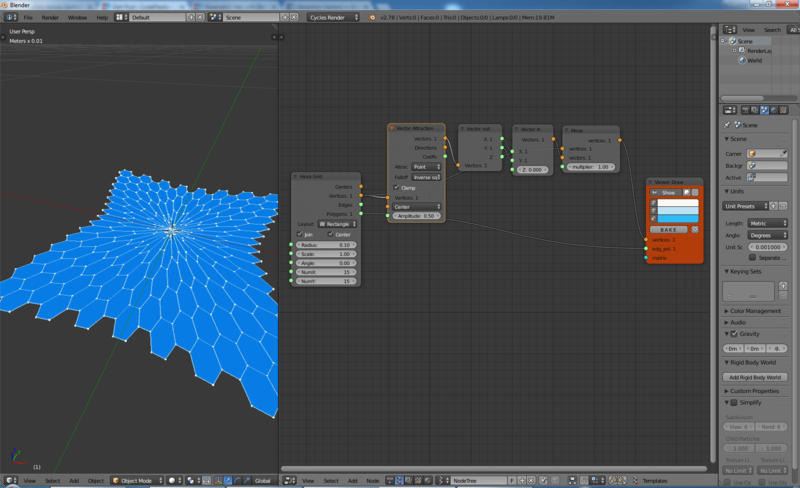 Start by creating a new node tree and add an Hexa Grid node. Give it a small radius and tick the join option, it will simplify things later on with Vector Attraction. Let’s now add a Vector Attraction node. This is a powerful node that does exactly what its name says: it attract vectors (vertices) based on the position of other vectors. The output socket Vectors. 1 represents the calculated attraction force vectors which we need to add to our input vertices. In this moment the attractor is a single vertex at the origin of the axis, let’s try to make things more interesting. There are various way to provide vertices and you can try out different solutions, like curves or random point, here I will use a Perlin noise grid via Vector Turbolance. Here are the nodes that you have to plug together. In order to find a result of your taste you will need to play with the parameters until you are happy. I am actually not interested in the filled hexagons but rather on their edges, so I will switch the Polygons.1 socket of the Hexa grid for the Edges one. Now we could bake it and solidify it in Blender or we could do it directly in Sverchok, having finer control over the process. Sverchok has a Solidify node, which we will use in conjunction with Extrude edges in order to give a more interesting/wavy look. P.s. 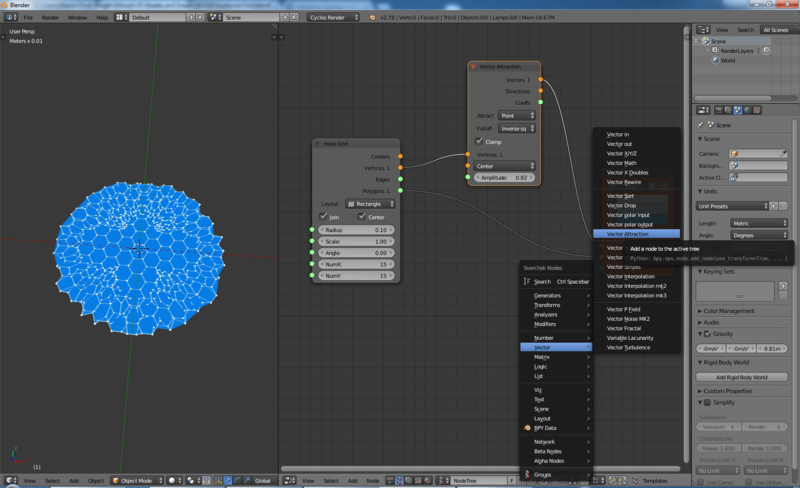 Here you can find the hole node tree (paste the Gist link in Sverchok Import panel).